En route to the final Cuala have roared past the Offaly, Kilkenny, Wexford and Galway title holders – the aggregate winning margin is forty-one points. And, given the numbers gleamed from both sides’ last three televised games it appears as if Cuala hold the upper hand, but please note that the Na Piarsaigh statistics are significantly polluted by their performance against Slaughtneil in the recent All-Ireland semi-final. The Limerick champions are capable of more, much more. Indeed, Cuala need to be concerned about the number 2.53. Please click on the graphic below to enlarge it . . . In terms of creating scoring opportunities there is little or nothing to choose between the sides with Cuala averaging twenty-two shots at the posts and five goal-scoring opportunities per game. Similarly, Na Piarsaigh average twenty-one shots for points and an identical number of goal-scoring opportunities created. However Cuala, given their measured style of approach play and their successful isolation of Con O’Callaghan at full-forward, have been significantly more successful in terms of their shooting efficiency (Cuala: 55%, Na Piarsaigh: 49%). During the past three televised games Cuala have dominated the possession of the ball when averaging a very impressive 58% while Na Piarsaigh trail on 49%. Experienced analysts are, rightfully, suspicious of possession statistics, however, with specific relation to hurling contests – possession statistics illustrate how you played, but not how well you played. Ultimately, what matters is which team scores the most and not the team which enjoys the majority of possession. There can be a stark difference between dominating the possession of the ball and tactically dominating a contest. Cuala, for example, did dominate the possession of the ball against Kilcormac-Killoughey (62%) in the Leinster final and won by fourteen points (1-23 to 1-9), but the Dublin champions lost the battle for possession against Dicksboro during the Leinster championship and still won by seven (2-20 to 1-16). The key aspect to remember here is that hurling is a game of constantly managing turnovers in possession – the most important part of the game is the transition phase (moving from attack to defence or from defence to attack). Indeed, the turnover in possession is the best playmaker there is. Every team is set up to defend the long ball into their half of the field, but at the point when possession changes hands the opposition defence can be destabilised. So, elite teams treat the moment when the ball gets turned over very seriously. Indeed, at the point of the turnover the player in possession is then the most important attacker on the field (and much more important than the player who actually ends up taking a shot). Just watch how Cuala work the ball short out of the contact area in order to get a man free and moving forward; that player is then in a position to deliver a quality ball forward. The traditionalists like to moan about unnecessary hand passing, but the whole point of this technique is to release a player who can then move forward, look up and pin-point a delivery. Conversely poorly-coached teams win the ball and then lamp it down the field at the very first opportunity. Against Kilcormac-Killoughey in the Leinster final the Dublin champions successfully found one another 87% of the time and were intercepted just twenty-one times. Meanwhile the Offaly champions successfully passed to one another 64% of the time and were intercepted thirty-six times. Similarly against Ballygunner in the Munster final Na Piarsaigh registered a passing success rate of 78% and intercepted the Waterford champions thirty-seven times. On average during their past three televised games Cuala completed their attempted passes 80% of the time while Na Piarsaigh succeeded 76% of the time; Cuala averaged seventy-one stick passes and forty-eight hand passes per game while Na Piarsaigh averaged fifty-five stick passes and thirty-five hand passes. Although both Cuala and Na Piarsaigh represent an exciting attacking force – albeit in very different ways – this pair also represent formidable defensive units. On average, for example, Cuala allow just fourteen shots at their posts from play per game while Na Piarsaigh permit sixteen. If you take a closer look at the contests that both sides have been involved in thus far you will find Cuala dominating the total shot count against Liam Mellows (22-12), Kilcormac-Killoughey (23-13) and St Martin’s (20-17). And, during Cuala’s run to last season’s All-Ireland club title triumph Cuala also dominated that statistical category versus Slaughtneil (29-17) in the semi-final and Ballyea (25-19) in the final. Then when you look at Na Piarsaigh a similar pattern presents itself – versus Ballygunner (24-14) in the Munster final and against Kilmallock (28-18) in the Limerick decider. Na Piarsaigh, however, did not do nearly as well against Slaughtneil when losing the category 12-16 and also conceded five goal-scoring chances. Na Piarsaigh also conceded two goal-scoring chances against Ballygunner and three against Kilmallock. Meanwhile Cuala have conceded three goal-scoring opportunities in their last three games – all three materialised against Kilcormac-Killoughey; neither Liam Mellows nor St Martin’s enjoyed a glimpse of the Dublin champions’ goal. On average Cuala concede one goal-scoring opportunity to the opposition per game while Na Piarsaigh cough up three. In terms of frees won Cuala normally earn fourteen per game and concede twelve while Na Piarsaigh win nine per game and also concede an average of twelve. Typically, Cuala operate with an extra man in their own half of the field whether that extra man is presented to them by a retreating opponent or otherwise. 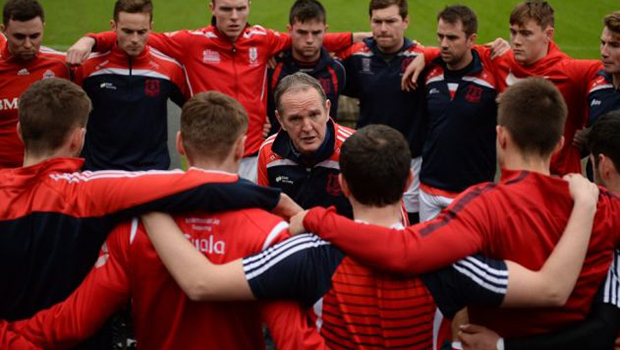 Cuala are prepared to take full advantage and as a result win 64% of their own puck-outs. Meanwhile Na Piarsaigh favour the longer delivery and win 44% of their own puck-outs on average. Please note that puck-out success rates do not correlate with winning elite club or inter-county hurling contests. Therefore you need to think carefully before associating too much significance to puck-out success rates; that said coughing up possession on your own re-start can be significant since it presents the opposition with an opportunity to counter-attack into a broken field. Conversely how you do on the opposition re-start depends significantly on how you decide to actually defend it. In the 2017 All-Ireland senior hurling championship, for example, Galway did not appear too concerned with disrupting the opposition puck-out – the Tribesmen, for instance, won just 33% of the Waterford re-starts in the All-Ireland final while allowing Stephen O’Keeffe to take short puck-outs all afternoon. Galway, critically, knew what they wanted to happen next – they were prepared to defend the long delivery into their half of the field and the second ball following the opposition’s short puck-out; that way Micheál Donoghue’s men always had a solid shape, were ready to win the ball and then spring forward on the counter-attack. Na Piarsaigh have won the opposition’s puck-out 32% of the time while Cuala manage to perform the same feat 44% of the time. The excellence of Cuala and Na Piarsaigh is marked out by their absolute ferocity in the tackle. The determination of a side to tackle the opposition, however, can only be accurately assessed when examined in proportion to the volume of possession enjoyed by the opposition. So, work rate ratio is a key statistic. If, for example, team A has the ball two-hundred times and team B performs fifty tackles that side’s work rate ratio is four (200 divided by 50), but if team B have the ball one hundred times and team A tackle them twenty-five times then team A’s work rate ratio is also four (100 divided by 25). Here, it initially appears as if fifty tackles is superior to twenty-five, but, actually, both sides have made an identical effort to perform the skill. In terms of work rate ratio a score of two or less (the lower the better) is fantastic. In the 2016 All-Ireland final, for example, Tipperary registered an extraordinary score of less than two against Kilkenny. Therefore almost every time that a Kilkenny player had possession of the ball he was turned over, tackled, hooked or blocked. As you can imagine in that environment the opposition’s good decisions soon start to run out. Conversely during the 2017 championship against Cork in the Munster quarter-final Tipperary registered a work rate ratio of 3.83. So, Tipp allowed their Rebel opponents almost four possessions of the ball on average before getting in a tackle. In their last three televised games Cuala have registered an average work rate ratio of 2.52 while Na Piarsaigh’s score is 2.61. Both of those average rates are impressive in their own right. Indeed, such is Cuala’s determination to tackle the opposition that the Dublin champions, on average, restrict the opposition to a passing success rate of just 66% (Na Piarsaigh 75%). And, the frightening thing is that Cuala, potentially, have even more in them. During last season’s charge to the All-Ireland title Mattie Kenny’s men managed a work rate ratio score of 1.83 against Slaughtneil in the semi-final and 2.15 against Ballyea in the final which is outstanding. Recently against Liam Mellows in the All-Ireland club semi-final at Semple Stadium, Thurles the Dublin champions registered an excellent 1.97. Meanwhile Na Piarsaigh scored a 2.63 against Ballygunner in the Munster final and 2.56 against Kilmallock in the Limerick county final. The outfit managed by Shane O’Neill registered a 2.65 against Slaughtneil, but once you drill down into the performance against the Derry champions you discover a very interesting pattern. In the 2016 All-Ireland club final against Cushendall Ruairí Óg Na Piarsaigh registered a stunning work rate ratio score of 1.54. Such a figure illustrates the fact that this Na Piarsaigh team are capable of an extraordinary defensive performance. Indeed, Na Piarsaigh fought their way out of deep hole against Slaughtneil by dint of a savage work rate. 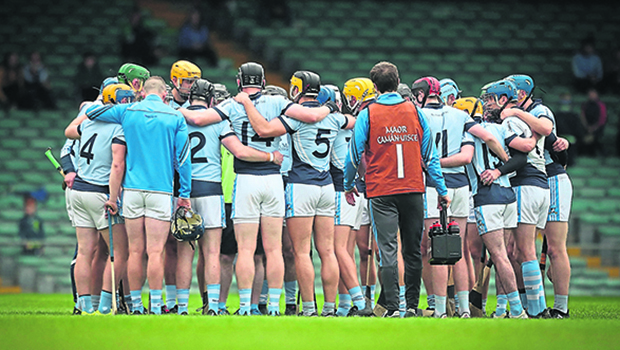 By the 35th minute Na Piarsaigh were reduced to thirteen men following successive dismissals. At the time the game was tied (1-9 to 2-6) with twenty-eight minutes to play (three minutes of injury time). Ultimately Na Piarsaigh won 3-15 to 3-8 and dominated that 28-minute period of the contest when out-scoring Slaughtneil 2-6 to 1-2. Before the sending offs Slaughtneil dominated the play count (57%), but once reduced to thirteen men Na Piarsaigh edged the play count for the remainder of the game (52%). And, before the dismissals took place Slaughtneil enjoyed 59% of the possession while during the concluding twenty-eight minutes Na Piarsaigh managed to break even (50%). Then, once you drill down a little deeper into the statistical picture, you discover that the Na Piarsaigh response to the double dismissal was even more impressive. 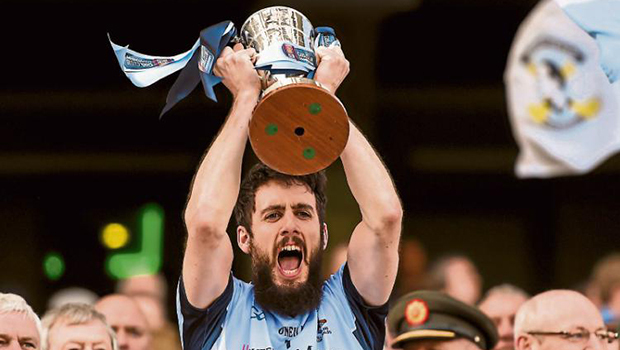 During the concluding twenty-eight minutes Na Piarsaigh won the turnover-in-the-tackle count 12-5 and managed a work rate ratio of 2.53 with just twelve outfield players. Sadly, from a Slaughtneil point of view during the concluding stage of this contest the Derry champions’ work rate ratio jumped to a very poor 3.68. Na Piarsaigh did especially well to rescue themselves from a sticky situation against Slaughtneil Robert Emmets at the semi-final stage of the competition, but the Limerick lads must surely realise that a similar performance will not do against Cuala. 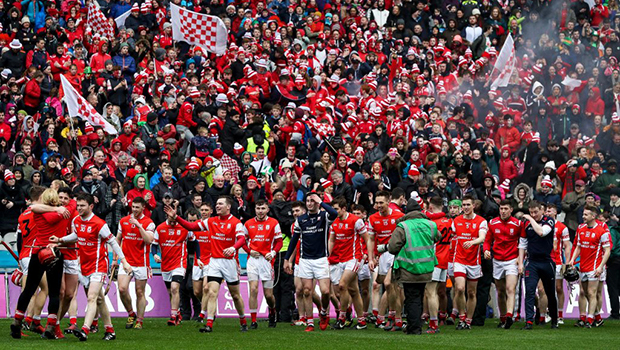 Cuala, going by their recent performances, simply have to be favoured to win the All-Ireland club final, but the Leinster champions also need to be on their guard. If Na Piarsaigh turn up, tackle like men possessed and effectively deal with the threat posed by the Cuala style of play (especially Con O’Callaghan’s movement) the Limerick lads have the talent to win this All-Ireland club final. Otherwise the form line suggests that this final is Cuala’s to lose. Follow Brian McDonnell on Twitter by clicking here or alternatively you can catch up with Brian on Instagram or like his Facebook page.